Wednesday, 28. 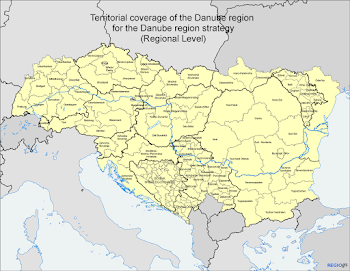 October 2015 (All day) Ulm, Germany DCSF On the 29th/30th of October 2015, the 4th Annual Forum of the EU Strategy for the Danube Region (EUSDR) will take place in Ulm, Germany. Following the example of last year’s conference, a 2nd Participation Day for civil society actors is scheduled prior to the main conference on the 28 of October, in Ulm as well. The 2nd Participation Day 2015 aims to contribute to a stronger involvement of civil society and local actors of the 14 EUSDR countries in the implementation of the EUSDR. It provides a platform for debate, opinion building, exchange and cooperation for the representatives from civil society organizations and local actors in the Danube Region. The 2nd Participation Day is organised by the Institut für virtuelles und reales Lernen in der Erwachsenenbildung an der Universität Ulm (ILEU) e.V. (Institute for virtual and face-to-face learning in adult education at Ulm University) in close cooperation with a Steering Committee consisting of representatives of the Danube Civil Society Forum (DCSF) of the EUSDR, ILEU e.V., the Priority Area 10 Institutional Capacity and Cooperation of the EUSDR and Agapedia gGmbH. This event will be supported by the State Ministry of Baden-Württemberg, Germany and the Baden-Württemberg Stiftung, Germany.